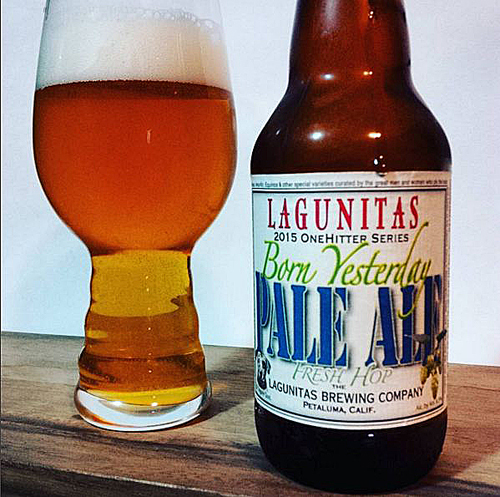 Lagunitas Born Yesterday Fresh Hop Pale Ale: Brewed in Petaluma, CA to a strength of 6.5% abv, this beer uses fresh Simcoe and Citra hops from Yakima, WA that are rushed to the brewery for brew day. It is a late release for the fresh hop season, bottled at the end of October and released shortly afterwards, which is kind of nice as it allows me to pace myself over fresh hop season. Aroma and Appearance: It pours a hazy golden copper colour with two fingers of foam and an average level of carbonation. The aroma has a massive tangerine citrus note that eventually blends into some caramel, grapefruit and floral aromatics creating a delightful smell. Flavour: Born Yesterday is exceptionally juicy up front, featuring tangerines and lemon citrus notes with hints of hop oils before it moves into a bready caramel middle to balance it out. It finishes with a robust peach skin texture and a resinous piney overtone accompanied by floral herbs and a rather classic dry pale ale finish. Overall Impression: This is a really, really nice fresh hop beer! I will be adding it to the annual repertoire of fresh hop beer pick ups for as long as I can find it! Rating: I give it an excellent rating of 8.5/10, it hits a lot of right notes and tastes super fresh at a nice price. Food Pairing: I suggest enjoying on its own, as with some fresh hop beers you want to explore the nuisances of the freshness and let them tease your palate without the distraction of yummy food. The media team at Lagunitas made up this little video showing the process they go through to harvest the hops at the hop farm, as you can see it is a huge production to get the hops ready for all of this beer! Check out this amazing tour! Drinking beer, breaking it down in to nouns, verbs and sometimes adjectives. 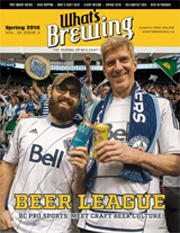 A place for all things beer. "Give a man a beer and he will waste an hour, teach a man to brew his own beer and he will waste a lifetime." Home of the Delaware Beer Blog - Drinker of beer. Writer of stuff. Home of The Beer Metal Show Podcast and much more! Beer. Sports. I like them. A blog about great sandwich and craft beer pairings. 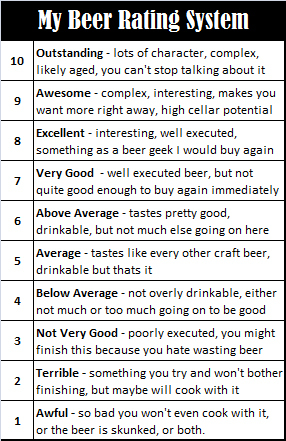 Your guide to the wonderful world of beer! We review craft beer from around the world.